June 2014 Observations – The Plain-paper 3D Printer - What’s in a Name? As I complete this weeks-long-contemplated post about a “Plain-paper 3D Printer” I recently discovered, Amazon has just announced its Fire Phone, which had been rumored to be a “3D phone” prior to its launch. So before taking a closer look at the Mcor Technologies product and its interestingly juxtaposed description, I will digress on other names, including the Fire Phone. The Amazon product more or less lives up to the rumors (see "How 3D Works on the Amazon Fire Phone"), but the company instead named the viewing feature “Dynamic Perspective” to describe its integration of multiple cameras and software that give the user a 3D effect on the phone’s screen. I applaud Amazon’s precision in naming, even if (or because) “3D” is so widely used these days in describing so many diverse products and features. But one wonders if “Dynamic Perspective” is going against the tide. From my perspective (arguably more static than dynamic), as a long-time tech industry veteran as well as more recently a professor of Marketing, naming (more than just branding) really can make a huge difference! That's one of my favorite positive examples, and one more negative (that turns positive) was when I saw the development and launch of scanning products meant to be shared in the office by multiple users. Apparently the best name that had floated to the top for this product during its development was “network scanner”, following in the heels of successful “network printers”. The Network Scanner was far from successful, but a few years later the small number of customers who actually had figured out how to use it described their activity as including “digital sending” documents. Thus the product in its newer version was renamed as a “Digital Sender” and became quite popular. So back to the Plain-paper 3D Paper. Whether or not "3D phones" (or 3D TVs, or whatever) make sense or become popular, we do find “3D” as being a very pervasive buzzword these days, and that includes its combination with “printing”. 3D printing has been around for quite some time, of course, but the last couple of years has seen the interest spike tremendously, among technology futurists, Wall Street analysts, and Kickstarter enthusiasts, among others. But when I came across a story about a “Plain-paper 3D Printer”, I felt like I had entered a time warp! I should have known about plain-paper 3D printing at least a year ago, if I was paying full attention! Despite the company and the concept being far from new to the world, the descriptor “plain paper 3D printer” was new to my ears, and got me thinking that if there ever been a confluence of industry buzzwords from different areas this was it. For me, “Plain Paper” printing goes back to the advent of the LaserJet for sure and even a few inkjet printers slightly prior. The HP LaserJet printer, which I worked on beginning in 1986, had been launched in May 1984 (meaning we just missed celebrating its 30th anniversary) – and made its claim to fame based on the three “Q’s”, i.e. it was quick, printing relatively quietly, and with very high print quality. This was brilliant positioning, with product performance that made good on the promises, as it compared this new desktop laser printer to the technologies and products previously available, most common among them the typically noisy and slow dot matrix printers. Beyond the three Q’s though, another secret ingredient to its usability and customer acceptance was the LaserJet's ability to print on plain copier paper, already available in virtually every office. It didn't require the special paper of thermal and other technologies, nor did it require the tractor-feed paper of the dot matrix world, making LaserJet and its follow-ons all the more popular with millions of users. I learned about this especially well while managing HPs aforementioned desktop publishing program. The strategic relationships with Aldus and Microsoft were the cornerstone of our program, with what I thought to be natural and sensible extensions being alliances with some of the well-known paper vendors, who offered very high-quality paper appropriate for DTP output. These plans were shut down, however, by the consensus of slightly more senior management, who had been in place from the beginning, and enlightened me on what I had not realized - that anything that implied the LaserJet work better with one type of "plain paper" than another would start to weaken the plain paper claim, something like, “when we say we print great with plain paper, we mean ALL plain paper”. So will Plain Paper 3D Printing provide the disruption the Motley Fool forsees? None other than Stapleshas initiated an in-store 3D Printing service using MCor machines, for a prominent example of a B2B early adopter. But as far as mass acceptance, time will tell. But it’s interesting that what worked with toner-on-plain-paper a generation ago, may just work with plain-paper-sliced-and-diced in the current age. I first learned about 3D printing about 15 years ago. Then, I quickly realized that despite the fact that the field’s (Wikipedia offers a good description here) moniker includes “printing” in its popular label (its other more precise label is “additive manufacturing”), but other than the jetting action of the 3D “print heads” – a technology were HP really excels, then and now – used in some of the products, the overall category really had little or nothing to do with printing, at least as I knew it. I had seen this parallel before, also during my time as an HP staffer, when we entered commercial printing. It now seems very obvious, but in that case too, the thing that was the most in common with office printing was the word “printing” – though it involved toner (or ink) and paper, the customers, products, solutions, channels, etc. were virtually all different than what we were accustomed to with office printing. 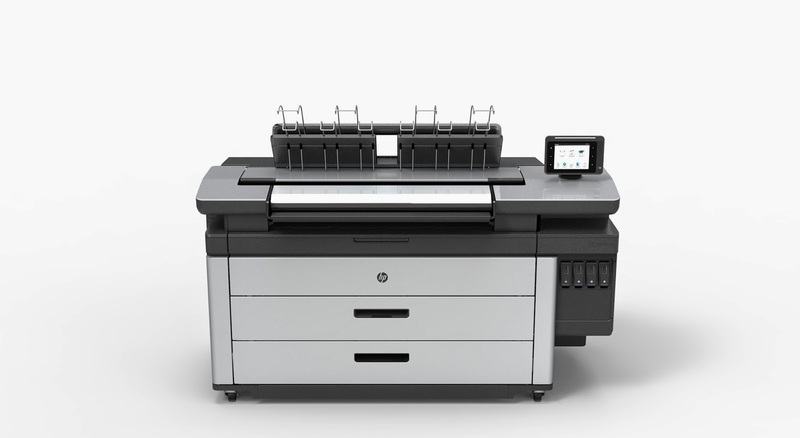 Of course, HP took up the challenge, and figured out “Commercial Printing” in its many variations, via a very systematic process, even with inevitable fits and starts along the way. This included company and technology acquisitions, selective hiring of skillful people from commercial printing backgrounds, and an overall strong commitment, that now over decades has taken the today’s successes. What would Nuance acquisition mean for printing/imaging unit? One of the most important companies in the printing/imaging ecosystem is making headlines this week with talk about its potential acquisition. But Nuance Communications' speech recognition capabilities are what the company is most widely known for among the broader business/technology community, so one has to wonder what happens if an acquisition transpires that focuses too much on the language recognition? 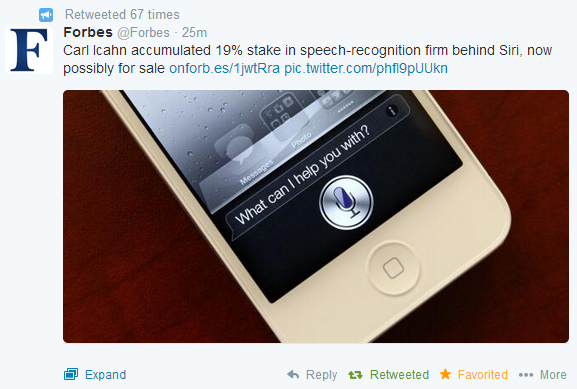 Today's coverage in Forbes, headlined "Siri Is For Sale: Will Apple, Samsung Fight Over Nuance? ", is a case in point. I have had the pleasure to work with the company (in its ScanSoft days), while helping to manage partners while I was still at HP, and over the last 8+ years I've had the privilege of covering many of their products and acquisitions that have made the company integral to printing, scanning, and managed print services. The Nuance Communications Wikipedia entry is a good recap of their recent history too (since most of the articles I penned are behind paywalls), and just borrowing an example list of brands under the Nuance umbrella - e.g. PaperPort, Visioneer, Textbridge, Omnipage, Equitrac, eCopy - gives an idea of their reach. And a list of companies bundling or otherwise partnering with Nuance Imaging is a veritable who's-who of printer OEMs. But clearly its speech recognition technology, integral in its own right to the world of mobile devices, has the eyes of investors, including legendary Carl Icahn, with his current 19% of the company. Would an acquiring company with similar focus know what to do with the Imaging side of the business? Among the two leading suitors, Samsung has a considerable printing business where one could imaging Nuance Imaging residing -though the fact Nuance has never had printing hardware seems to have made it simpler for them to partner with myriad of competing hardware companies. Time will tell, but I imagine these are interesting, if nerve-wracking days for my friends on the Nuance Imaging side of the house! Today’s press/analyst event for HP’s Designjet Production Premiere is history, and as always it is great to be invited to an activity with an industry leader, even (especially?) the industry leader with whom I was employed for 25 years. Even after over eight years passing since I wore the HP Employee name badge, I have many friends still with HP, as well as countless warm memories from those days. And happily, at this point I have developed many new HP and agency relationships as well. And then there are my fellow analysts, with some of those friendships going back to when I was on the client/vendor side. The news of the company’s announcement of a coming series of wide-format, page-wide printers went official at mid-day, shortly before our event broke up at mid-day, and no doubt much will be written about the new hardware (due in the second half of 2015 and as yet unpriced and unnamed), as well as the soon-to-be-available Designjet products which were included in today’s announcment (on the hardwarde side, the HP Designjet T3500 Production eMFP and HP Designjet T7200 Production Printer, and a new software solution, the HP Designjet SmartStream Pre-Flight Manager and Controllers). But for now, in addition to thanking my hosts at HP and Porter Novelli as well as my fellow analysts, for making this a great experience, I’d like to comment on one thing. I mentioned those warm memories when I worked in HP’s Imaging and Printing Group? Back then I remember the high-end graphics teams (both in San Diego and Barcelona) as being exemplary marketers in terms of understanding their customers and designing products and solutions to meet their needs. This has been continued and enhanced and in materials distributed as part of today’s announcement, they identify a dozen different market segments in their product portfolio brochure. This is a great example and one I will be using in my marketing classes as outstanding B2B segmentation.